Health and hygiene, two of the most important elements for the overall human well-being and progress, are chronically neglected by rural populations in India due to illiteracy, lack of basic cleanliness habits, and ignorance. The Integral Village Development Programme’s foremost contribution in the fields of Health and Sanitation has been creating awareness and providing knowledge on the various aspects of maintaining good health, the importance of cleanliness and hygiene, and the hazards of insanitary habits and polluted environment. There has been a complete transformation in the attitude and outlook of the people of the adopted villages in this regard, and now they are greatly self-motivated in maintaining their own health and hygiene and that of their families and community as a whole. The following were the highlights of last year’s initiatives on the Health front. Medical referrals: Like previous years, Sarvam continued to provide medical referrals to the Pondicherry Institute of Medical Sciences (PIMS), Sri Lakshmi Narayana Medical Sciences (SLIMS) and Arvind Eye Hospital. The support includes free transportation to and from the medical centres where they are offered free treatments and 50% discounts on certain procedures. In the last 1 year, over 1,000 people received treatment and hundreds had additional scanning services. Kitchen Gardens: The kitchen gardens initiated last year are now bearing fruits and vegetables, contributing to a healthy diet for the household. Recently, the Sarvam workers conducted a survey to understand the interest of the local population in this program, and as a result are promoting the creation of additional 100 gardens. To maximize the success, they are seeking the support and participation of Krishi Vigyan Kendra, the Government of India’s agricultural extension. Regular workshops are conducted for members of the hamlets where they are taught about the reuse of wastewater to irrigate the kitchen gardens. Due to the on-going efforts of the Village Programme, the government sub-health centre at Poothurai is functioning effectively. It caters to the basic health-care needs of the nearby villages and the Programme’s volunteers at this centre facilitate specialized medical treatment for the people of the villages at the nearby SLIMS hospital. Another major achievement in bringing quality health-care services to the people of these villages has been the issuing of a referral health card, in collaboration with premier medical institutes in Puducherry such as the Pondicherry Institute of Medical Sciences (PIMS) and the Aravind Eye Hospital. Other health programmes such as dental camps, eye treatments and surgeries, immunization camps for children and expecting women, etc., are being conducted on a regular basis. – Periodical health camps in collaboration with JIPMER, PIMS and SLIMS continue to be organized. A series of health checks for school children has been initiated with the necessary follow-up interventions. – Another successful initiative of the Village Programme has been the commencement of a SLIMS bus service, which has been picking up patients from these adopted villages every month as scheduled, for general check-ups and treatment, eliminating the distance between the patients—diseased and sick—and medical help for them. – Several general health camps are conducted in the villages for basic scans, ECGs, check-up of blood sugar levels etc. – Dr Tamilarasi from the Government Maternity Hospital in Puducherry has started a monthly session with the women, where she talks about general health care, hygiene, maternal care etc. – The Village Programme’s collaboration with NSS volunteers to plant trees and encourage people of the villages to cultivate gardens in their homes is its endeavour towards a green environment, conducive to the enhancement of health and hygiene. Most rural populace in India is unaware of the entrenched connection between cleanliness and health. The absence of basic habits of maintaining hygienic and sanitary conditions lead to many illnesses and diseases, which in turn lead to major social and economic problems in the day-to-day lives of families, and even community as a whole. Educating the people and creating awareness among the people of the village about clean surroundings and overall health was one of the pioneering initiatives of the Village Programme. Even elementary and basic amenities such as toilets (most people defecated in the open, creating very dirty, unhygienic surroundings) and clean, potable water were absent in these villages before they were adopted by the Village Programme. 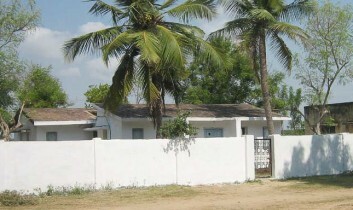 – The initiatives to create awareness about sanitation and toilet culture, and the Programme’s toilet construction programmes, in these years have resulted in marked improvement in the overall environment and health conditions in the villages; most households now have toilet facilities, whereas at the time of commencement of the Village Programme’s project, only 1% of the families had toilets. – Good habits are being emulated and followed in full earnest. Seeing the wonderful results of clean houses and surroundings the demand for toilets has increased multifold. – More and more households are taking up the construction of toilets with government assistance. They are efficiently managing the construction by following the Village Programme’s model—‘SARVAM model’—of the previous years. – Studies are being conducted to improve the quality of water. In addition, reproducible and economical water purification techniques and processes are being undertaken, in which pure and safe drinking water can be made easily accessible to every member. – Proper waste management is another focus area that is currently being worked on. – Due to material and other construction costs, the Village Programme is assessing the best options available that will be less expensive, cost-effective, and sustainable. The progress in these areas is very encouraging and visible. The integrated programmes in these areas have resulted in better health and lifestyles for the people, leading neighbouring villages to take up similar programmes and endeavours to create a better way of living for themselves.